Krazy Glue Maximum Bond. Sets 2 times faster, is the # 1 Super Glue in Canada. Super strength. Bonds best: Rubber, Plastic, Ceramic, Glass, Metal, Vinyl. 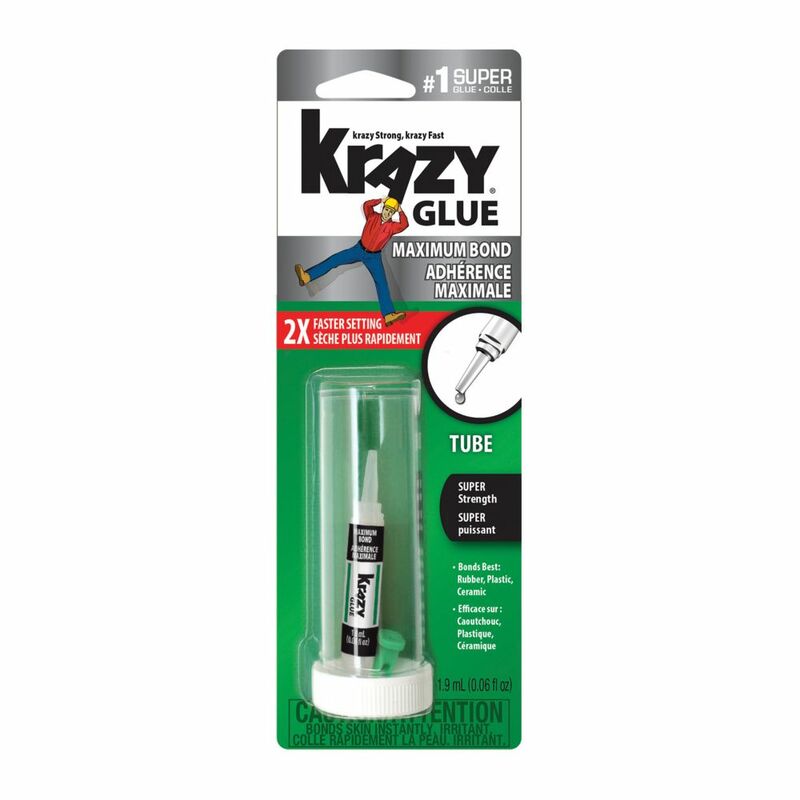 Krazy Glue maximum Bond 1.9ml Krazy Glue Maximum Bond. Sets 2 times faster, is the # 1 Super Glue in Canada. Super strength. Bonds best: Rubber, Plastic, Ceramic, Glass, Metal, Vinyl.